This past weekend, I photographed Laisa and Ryan’s Loft at Landis Creek wedding. 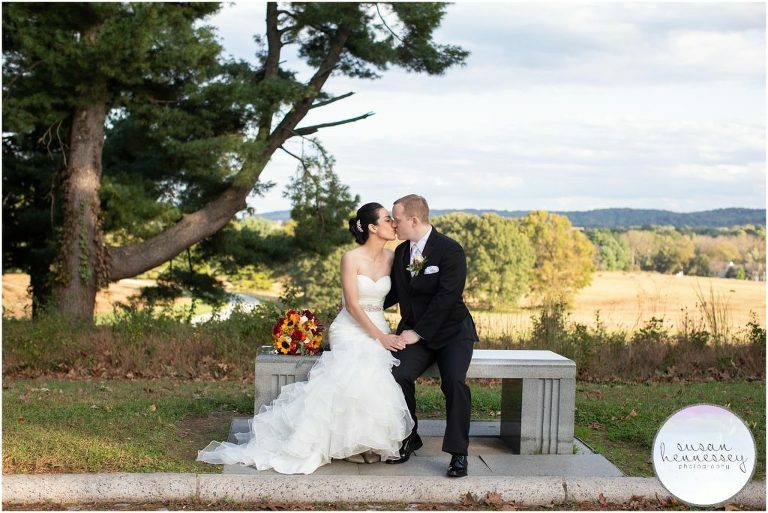 We had a beautiful Fall day for their rustic, low key wedding and my traditional couple was married in a Philadelphia church and then we traveled to Valley Forge National Park for portraits before finally arriving at the Loft at Landis Creek for a few sunset golf course portraits. Once portraits were complete, my couple danced all night and had a blast! 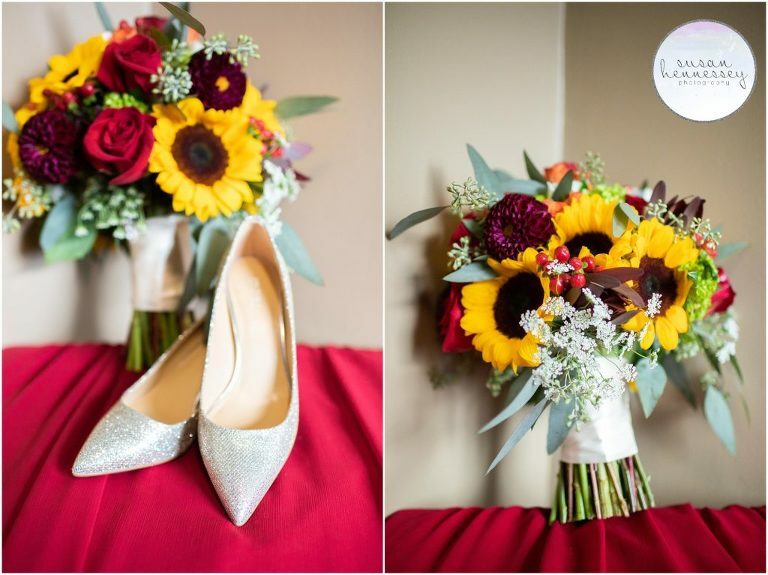 I absolutely adored photographing these two and am so excited to share this Loft at Landis Creek wedding! Last September, I met Laisa and Ryan for their engagement session at Temple University. We specifically chose this location as it is exactly where they first met and we even started the session in the very classroom these Journalism majors took American Economy in, which is the class that sparked their romance. 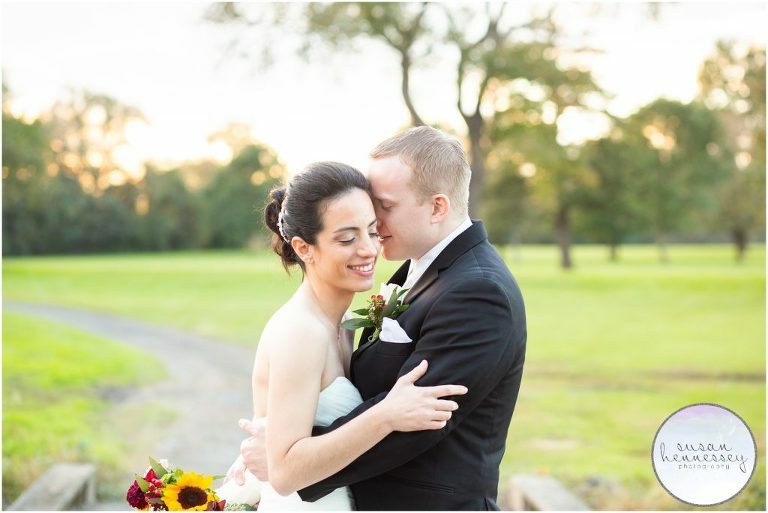 Laisa and Ryan’s first date was in the Winter of 2011 and they went ice skating at the River Rink and then had dinner at an Italian restaurant. After slipping and falling all over the ice rink, these two walked in the winter cold to the restaurant, where the food wasn’t even that great! Thankfully, their relationship warmed up a lot faster than that first date! Laisa knew Ryan was the one on September 15, 2013, Ryan’s sister’s wedding was the day before and they had spent the night together talking about their relationship and that’s when she told him she loved him and when she knew he was the one. 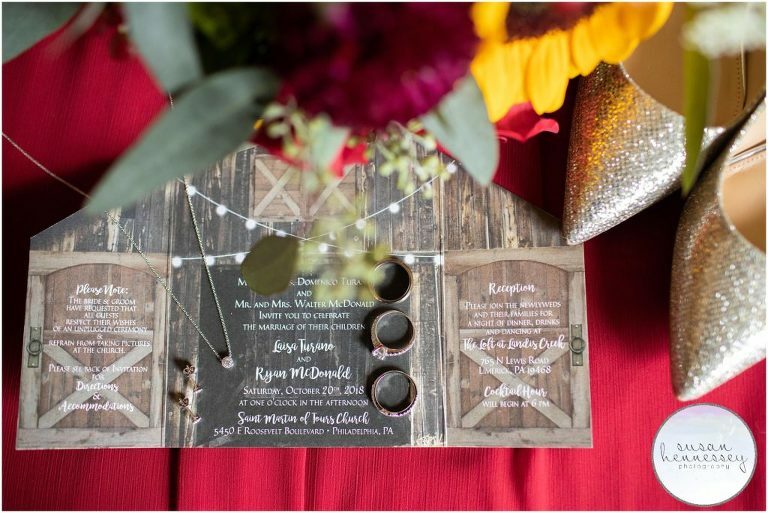 Now that they’re finished planning their Loft at Landis Creek wedding, they enjoy going on picnics together and hanging out, as well as cooking together. They enjoy watching sports together, as well as going to games. After the wedding, they are looking forward to everything that comes with marriage. They’d like to spend the first few years of their marriage as a married couple and eventually they’d like to get a dog and have children. They’d also love to travel, Laisa was born in Italy and Ryan is of Irish descent, so those two places are high on their list! I hope you two are enjoying your honeymoon in Mexico! Are you planning a Loft at Landis Creek wedding? If so, click here to view my wedding portfolio for more inspiration! Are you ready for more info? Click here to fill out my contact form!